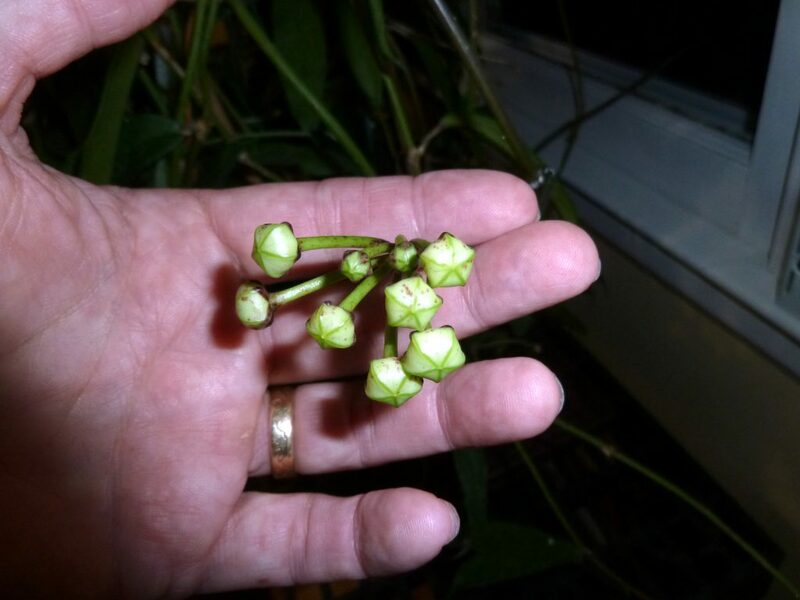 Last year my Hoya griffithii was covered in buds and flowers; this year my plant did not fare nearly so well. I only have one peduncle with flower buds on the entire plant. I guess it is a lot better than having none. This entry was posted in Hoyas on November 15, 2016 by Doug.